Same great location, new owners to love your vehicle! See why we love you and your car! We love what we do! Let 30 years of experience work for you. Tow your vehicle with confidence for $55.00 and we will apply it right to the bill. Covenant Automotive Repair & Service Offers Auto Repair Services You Can Count On! 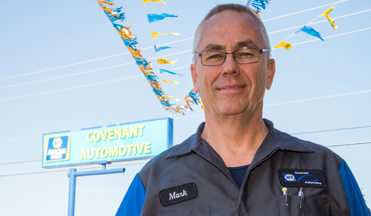 Since 2008, Covenant Automotive Repair & Service has provided motorists in the Tucson, AZ 85712, 85712, 85711, 85710 areas with comprehensive auto repair services that include 4x4 Services, Brakes, Car & Truck Care, Domestic Cars & Trucks, Electrical Services, Electronic Services, Engine & Transmission, Engine Maintenance, European Auto Repair, General Services, Heating and Cooling Services, Import Cars & Trucks, Miscellaneous Services, Quick Lube Services, Towing, Transmission Services and Undercar Services. Our goal is to offer the best services available at affordable prices to get you back on the road in no time. 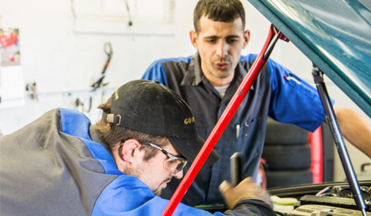 For a high-performing vehicle, trust Covenant Automotive Repair & Service with your car, truck, or van. To learn more about the services we offer, please contact us by phone at 520-351-2061 or send us an email. We also invite you to learn more about our dedication to you, our valued customer.